Price: $18,990 - ***Own Owner Plus Bloomington Gold Award!! THE VETTE NET.com is a nationwide Corvette brokerage network and a proud Lifetime Business Member of the National Corvette Museum. We are pleased to offer you this beautiful “one owner” and BLOOMINGTON GOLD CERTIFIED 2000 Corvette coupe located in MICHIGAN. Its 5.7-liter engine is factory stock and is mated to an automatic transmission. The odometer is showing just 28,767+ miles from new. As you would expect, this “Bloomington Gold award winning” Millennium Yellow Corvette coupe is in excellent condition having been very well maintained from new. Everything is in working order and ready for the second owner to enjoy. As you are reviewing the photos, you will see the overall condition of this stunning Corvette is exceptionally nice! The paint has a high gloss and is brilliant in the sunlight. The contrasting black interior is very clean. • Selective real time damping, • Head up display, • Automatic transmission, • Memory package, • Active handling system, • Dual zone air conditioning, • Twilight sentinel, • Fog lamps, • Luggage shade, • 6-way power seats, • Millennium Yellow Tintcoat paint (first year offered) • Black interior with leather seating surfaces. If you are looking for a one owner and low mileage C5 Corvette that has been well maintained, look no further. Here it is. You will also get two key fobs and the Owner’s Manual plus the other papers the owner received at delivery. 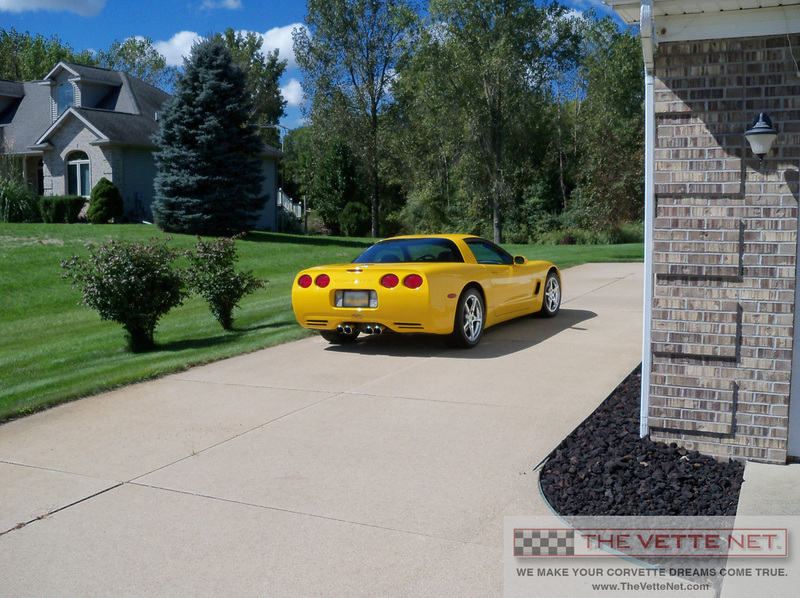 For additional information about this 2000 Millennium Yellow Corvette, call Larry at 269-579-2058 (EST/Michigan) or email Larry@TheVetteNet.com.